David Cannon Photography specializes in producing high-quality images for architects, designers, builders, and craftsmen in the Atlanta area, the Athens area, all of North Georgia, and throughout the Southeastern United States. Our clients simply must have stunning images that cause the viewer to not say, "Look at that photograph!" but instead draw the focus to their work, inciting a response of, "Wow, look at that room!" or "I love that design element!" How will you stand out from the crowd of competition? Every image that is associated with you and/or your company impacts your brand. Make a powerful statement with professional architectural imagery by Bloodfire Studios. Owner and principal photographer, Heather Fritz has great admiration for the imagination it takes to create beautiful and functional spaces where life happens. Heather crafts stunning images for design professionals in order to achieve their marketing and sales goals. Working with Heather is easy - just check out her reviews! On site, Heather pays attention to details and will work with you however it best works for you. Want to be on-site during the shoot? Enjoy an “Immediate Proofing System” to save time after the shoot. Can’t attend the photo session? She will conduct a “Scouting Trip” first and show you sample angles so you can decide up front how to best tell your story. With Heather, your project will be carried to fruition so you can focus on doing what you do best - your craft and selling. Experience working with a true professional photographer with Heather Fritz! 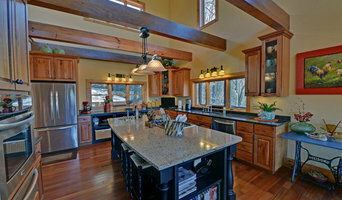 Fine Art, commercial residential, architectural, and real estate photographer. Hellow! My name is Billy Little & I'm a Professional Photographer. I have been doing photography for the last 3 years. I started photography in the military. I was shooting deployment photographs and home coming photographs as well. My business, Just a Little Photography, is Veteran ran and family owned. Our small team goes above and beyond the standard for every client. We strive to give the best customer service and quality every where we go!! I’m Daniel Green, a specialist in Architectural + Interiors Photography with concentrations in Residential, Commercial, and Boutique Hospitality. While quality images attract attention, that’s just a start. Their real value shines in how well they visually convey the story of you, what you’ve done, and what you can do. Anything less is just a missed opportunity to leave meaningful impressions. My goal is to provide an enjoyable collaborative experience that integrates your insights and objectives to further reveal nuance, add visual depth, and highlight attributes you are most proud of in your work. Together we go beyond presenting mere physical form and content to produce the exceptional. Resulting images uniquely tell your story and leave meaningful impressions that strengthen your message, cultivate interest, and build up your brand—some of the most valuable returns you can make from a photography investment. Photographing residential interiors and exteriors for interior designers, shelter magazines, architects and builders in the Atlanta area and throughout the country. I offer residential and commercial interior photography and styling. I blog for the leading interior design site, Apartment Therapy, have renovated and landscaped a two-family home and led a 23,00SF commercial office re-design. My interior photography has been published in international design magazines and with great enthusiasm across the web. 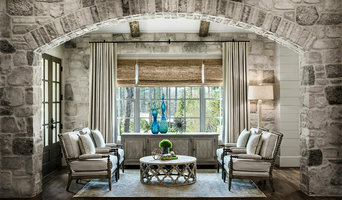 Atlanta-based photographer with an emphasis on architectural and interior/exterior photography. I work with many of the most established real estate firms, architects and interior designers in Atlanta. When you work with Jake Laughlin Photography, you work directly with me - I do not sub-out any of my work, nor do I utilize a staff of freelance photographers. The result? We work together and build a long-lasting relationship, and you'll always know what to expect! In terms of technique, I utilize professional lighting equipment/gear on all of my projects. Using supplemental lighting allows me to achieve accurate, realistic images that are a true representation of your work. If you're thinking of selling or renting your Gainesville, GA house, hiring a home photographer can make a big difference between making money and just breaking even. Think about when you look at photos of homes online: If the lighting is terrible, the quality is poor and the listing provides very few photos, don't you subconsciously associate these bad qualities with the homeowner or renter? A home photographer helps with those challenges. Before you call any potential photographers, make sure they have good references. Friends who've sold or rented homes before are great resources, as are local real estate agents. Look through each Georgia photographer's online portfolio to make sure what you're looking for is being offered. Once you've done that, it's a good idea to walk around your home and write down exactly how many and what types of shots you'll need. Include any specifications you might have, such as angles, things to consider about your home’s Gainesville, GA site, the time of day you think will be best and aspects of your home you want to highlight. Find a home photographer on Houzz. Narrow your search in the Professionals section of the website to Gainesville, GA photographers. You can also look through Gainesville, GA photos by style to find a room you like, then contact the professional who photographed it.